I was so glad to see your post. 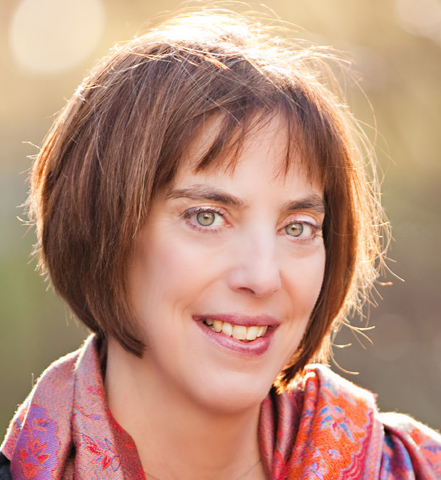 I am a 58 year old woman, I was diagnosed with epilepsy when I was 6 years old. I have been on quite a few medications in my lifetime sometimes 4 or 5 at a time. My journey with epilepsy has been a mixed basket of sorts. Although on medication, I had seizures on and off all throughout my childhood and teenage years. I suffered from both Tonic-Clonic (Grand Mal) seizures as well as Absence (Petit Mal) seizures. Although still on medication I made it twenty years seizure free. At the age of 48 and premenopausal I began having seizures similar to the Absence seizures I suffered 20 years ago. The seizures came every month and lasted for one week 7 or 8 days. I had so many all day and night long I could hardly function. I have been on many different medications since then. Fast forward 10 years – to now. I am still having them post menopause. Sometimes a month here or there is skipped and I am fortunate to have a seizure free month. The intensity of the seizures has lightened somewhat. I can have anywhere from 5 – 100 or more a day, they last 1-2 seconds and almost no one can detect that I am having one. I joined this group hoping to find someone that is in the same or similar situation as well. My doctor is at a loss as to what to do. I tried hormone therapy and it didn’t work I am not sure if it has worked for others. Trying to schedule tests has been a failure, I have to be within the week of the seizures to have the tests and so far the clinic has not been able to schedule me during the time frame that all of this occurs. Any information, articles, etc. would be appreciated. This sounds like it would be a good topic for a new discussion. Here’s how to start a discussion. 4. Write the message and click CREATE DISCUSSION. By starting a new topic, I’m confident we’ll get other members joining in to talk about this. Thank you Colleen I will try that. Have you been to an Epilepsy Monitoring Unit? We’d like to invite you to take part in a 6-question survey. The Patient Experience Nursing Team at Mayo Clinic will use the information you provide to help make the experience in the Epilepsy Monitoring Unit at Mayo Clinic the best it can be. My 30 year old daughter started having tonic clonic seizures in May 2017. Seizures started at a rate of one to two a week. They are now up to 6 – 7 a week. She has been on the same anti convulsant since they started with an add-on. Brief history – at 8 and nine she went thru a period of partial seizures that evolved into tonic clonic and then she grew out of them. Her life has become extremely difficult and it is hard to know if someone should be with her all the time. Like all of us, alone time is important. She purchased a house with her boyfriend a year ago and without her working, the are barely making it even with help from family. She had Cauda Equina 9 years ago and had an operation. Many nerves were damaged and she was left with chronic pain and areas of numbness. The seizures are extremely hard in her back and the pain very bad after a seizure. Sometimes 2 a day. She seems to have a number of triggers as well. If we can see the neurologist soon, we are hoping he will consider changing her main med. she was going to do a sleep deprived eeg last wee, but couldn’t get through to go without a number of seizures before the test. She ended up in a different hospital and no test. I was 30 years old at my ‘first’ grand mal seizure. I am now 42 and nearly a year out from my third surgery. Seizure free. 🙂 My history: My seizures stemmed from infantile, prolonged, high fever convulsions before I was a year old. I was put on medication until I was two and weened off. At 30, I had a grand mal that opened the door to more grand mal, partial complex and absence seizures. Right temporal lobe. Refractory, intractable. Like your daughter, seizures still increased and got worse as well. I was put on multiple medication combinations that did not work. Wow, A rollercoaster of ins and outs. Being patient with yourself, others and coworkers. After my first craniotomy failed one year to the day after surgery in 2012, I took a job change and a huge pay cut to go along with it. I tried other medications and lifestyle changes to keep the seizures at bay. They are elusive, invasive creatures, especially to an adult who has been living their life fully, and then, this happens? We have One Life, One Brain, One Body. We fight for that. *Surgery is my only option to be seizure free. * I went to Mayo Clinic in 2016. Be patient through the process and listen to the neurologists. The answers are there, Mayo is great and has wonderful staff. I’m a guy living in Texas that had epilepsy for around 38 years. Most of my life has been good where one medication controls my seizures. Over the last 3 years I been having more issues with random seizures. Currently my doctor wants to put me on a 3rd medication, which means more side affects. I feel that I need to take a couple steps backs and get a 2nd or 3rd opinion on my seizures. What I like to do is get re-asset on my current condition based on the latest technology and treatment. So after doing some research, I found your facilities which was rated very high. I’m not looking to make any appointments right now, but would like to discuss details with someone if possible. I’m hoping there would be a solution with out doing surgery. 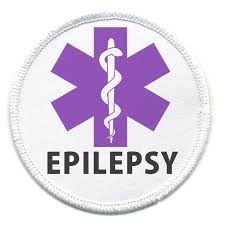 We have several members who have been to the seizure/epilepsy clinic at Mayo Clinic. Perhaps @dawn_giacabazi, @patrassi @amckinley75, @cmcafee, @findanswers and @twiceinalifetime can share their experiences from Mayo. What medication does your doctor want you to try? Since I’ve only had one seizure, I guess I can’t be formally diagnosed yet. I’m not on medication, and my 6-week waiting period before resuming driving lessons is more than halfway over. However, since then I’ve had occasional periods of what I guess could be considered confusion. It’s a little hard to describe, but sometimes I just feel like I can’t believe I and the things around me exist. Like someone took me to this strange place and wiped my memory of how I got there. Everything seems so strange all of a sudden, and after a couple/few minutes I’m back to normal. I’ll normally start telling myself my name, my date of birth, etc. to prove to myself that I’m not going crazy. Just now I was drawing and I had a particularly strange episode–I got up to get myself a drink, and realized I forgot where the kitchen was. I thought it was behind a door, and when I realized I was wrong, I realized I couldn’t remember what WAS behind that door. I’ve been living in this house since 2009 (minus the four months I was away in college), so it scared the living tar out of me. That’s possibly even WEIRDER is that I don’t really remember it. This too is hard to put into words, but it almost seems like it was a dream. I KNOW it happened, I KNOW I stood up and looked at that brown wooden door, trying to remember what was behind it, but I don’t remember physically getting up and doing said things… ugh, you know what I mean? I started frantically Googling confusion and epilepsy, which brought me here. According to this site temporary confusion can in fact be a symptom of epilepsy. However, I have apparently been epileptic my whole life, yet it took eighteen years to show any symptoms that we know of. I don’t drink or do drugs or anything of the sort. Why is this starting now? Could it have something to do with my seizure, like maybe I bumped my head or something? Does anyone else experience anything like this? I’m kind of concerned right now, as you can probably imagine. I can image you are concerned. You ask very good questions. The question about why is this starting now is one you should definitely ask your specialists. You describe your intermittent states of confusion very well. I wonder if @micakath @twiceinalifetime @robertjr @ahernandez can relate and have experienced similar situations of confusion. When do you have followup to discuss next steps?